We'd love to hear from you! If you have any questions, comments, or concerns, please send us a brief message using the form on the right. Thanks! Thank you! Someone from Fancy Fur will be in contact with you shortly. Fancy Fur Pet Grooming and Boutique is your one stop pet store for all your pet's needs. From full grooming services and premium foods to designer pet apparel, Fancy Fur has everything to spoil your furry friend. Fancy Fur has all your pet apparel needs. Our offerings include sweaters, shirts, outerwear, and collegiate apparel, as well as hair bows and other accessories. At Fancy Fur, fashion has gone to the dogs! Whatever the time of year, your pup will feel extra special in a fashionable outfit from our boutique. Whether you want to get your dog ready for the big game, give them extra warmth in the winter, or protect them from a spring rain, Fancy Fur has everything you're looking for. 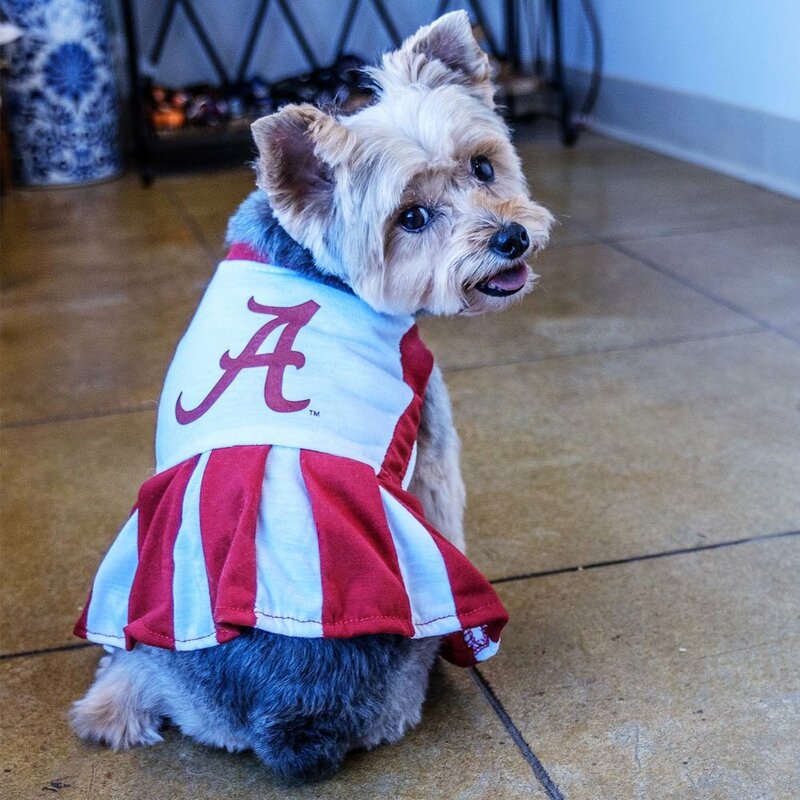 From sweaters and collegiate apparel to costumes and hair bows, you're bound to find just the right accessory to complement your pet's personality.